Our line of windows presents an affordable and attractive way to give any storage shed its own view of the world. This window features a functional window and screen to let fresh air in and out. 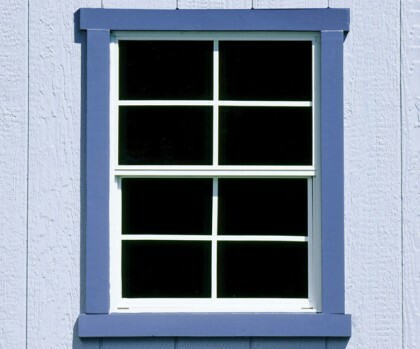 16"x24" operable white aluminum window features safety glass, insect screen and wood trim. A window will give you natural light inside your shed making it easier to complete day to day tasks. Dimensions: 16 in. x 24"